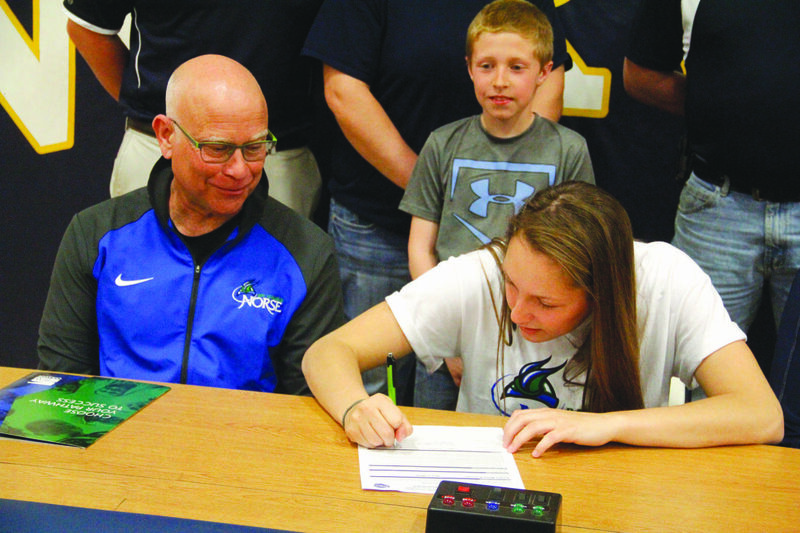 Norway’s Jordan Kraemer signs a national letter of intent to play basketball at Bay College. Norse coach Rae Drake Jr., left, looks on along with Kraemer’s brother Elliott. 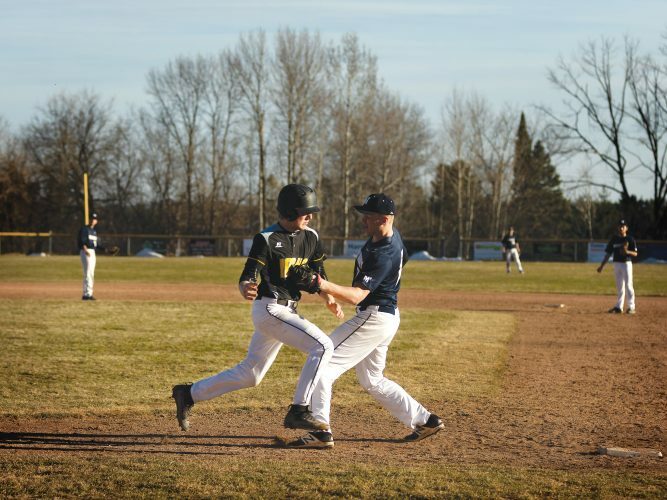 NORWAY – Rae Drake Jr. finally got his prized recruit. Norway High School’s all-time leading scorer Jordan Kraemer signed a national letter of intent to play basketball for Drake at Bay College. Kraemer signed on Friday afternoon, officially making her an inaugural member of Bay College’s women’s basketball team. Drake had visited Kraemer and watched her play numerous games at Norway High School. He had become familiar with Kraemer’s recruiting journey. Her main goal was to play at a Division II school. 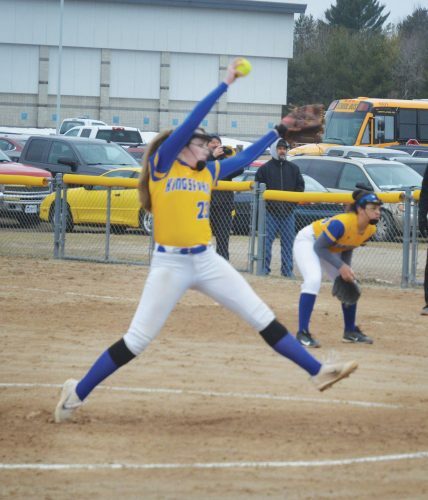 She tried out at Michigan Tech, but with no spot on the roster, she visited Bay College. Drake recalled how he reacted to Kraemer’s decision to attend and play basketball at Bay College. During the lengthy recruiting process, Drake said Kraemer was always accommodating and listened. “From the very beginning of the recruiting process, Jordan was always open and respectful toward Bay College. As a first-year program and a program that’s never existed, I really appreciated that,” Drake said. “Every game, she always visited with me. There’s something that attracts you to a person like that – she’s a very kind person. Kraemer was a three-time Mid-Peninsula Conference player of the year and a two-time selection to the All-UP Dream Team. She was also the first Norway athlete selected All-UP Player of the Year. She scored 1,384 points while at Norway, more than any boys or girls player in school history.